The kitchen has undergone a superb evolution in recent years, and bar stools for kitchen islands have become an ever increasing trend. The modern kitchen island is a product of the movement towards open plan living, giving a free-flowing environment that allows you to engage the family or entertain guests with ease. It has also become commonplace to have a breakfast bar area integrated into a central worktop, again giving a more intimate setting where people tend to congregate creating a versatile accommodation. "Practical and stylish, there’s something for every kitchen island in our great range of kitchen stools. From contemporary designs combining polished chrome with high-gloss ABS to classic leather models, it’s easy to find stools to match your style of interior design with Atlantic Shopping"
Bar stools are the ideal accompaniment to such a space, giving all the practicality you would need but adding a splash of style from whatever era you choose, whether you prefer traditional design with natural wood and leather, architectural Bauhaus inspired pieces with chrome plating and black faux leather, or retro 70’s pieces with gloss ABS outer shells and padded interiors. 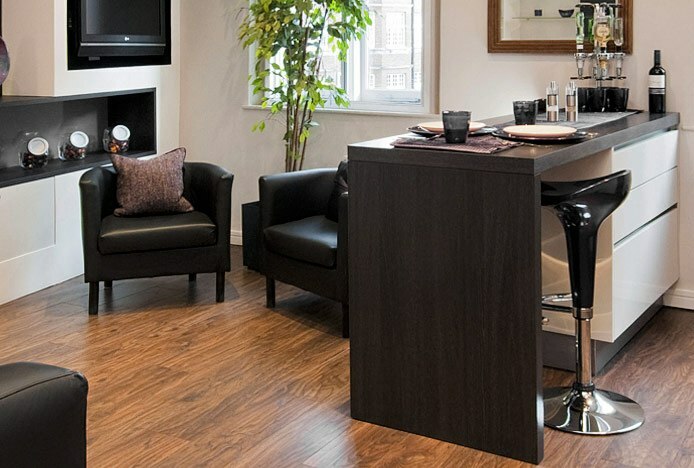 You can create your ideal location with just the decor you want, and then find the perfect stools from our large range that encompasses everything from the chic and petite to the large and luxurious. There are gas lift bar stools that have a hydraulic mechanism integrated into the frame, providing variable height and 360 degree rotation. This makes access to your bar tables or counter top all the easier as the seat simply swivels to the side and allows you to slide on and turn, and is superb for those with kids as you can tailor the seat to their requirements, raising it for their comfort. Because an island is in an exposed position, in a boisterous and animated location it can often be subject to spills, dust and grime, it's a great idea to choose a seat material which is durable and easily wiped. They need only minimal maintenance, with most seats requiring just a wipe with a damp cloth should any spillages occur, and the frame, whether reflective chrome plating or hand brushed stainless steel, only needing an occasional dusting to keep it in pristine condition. Similar to dining chairs they have plugs on their legs or protective bases to ensure that they are highly stable and suitable for all types of flooring, showcasing rubberised or felt pads that help to keep scuffs and scratches at bay, whether carpeted, tile or wooden surfaces. This list of desirable features is common to many of our stools and explains their rampant success in the furniture scene; in fact they prove so popular that many people choose to use them in different rooms and for multiple purposes. They work harmoniously with computer tables and give a more compact alternative to a full size office chair, or in a bedroom; whether at a dressing table as a handy dressing chair or sat in front of the television as a supportive gaming seat. 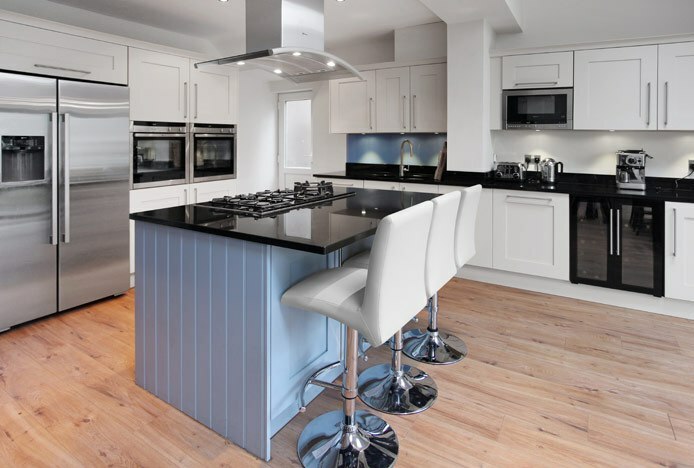 Bar stools for kitchen islands are successful in every circumstance, taking pride of place in any home and letting you sit back, relax and enjoy your time. To discover more, use the button below to take a look at our entire collection of kitchen stools. Counter stools or kitchen stools? We explain the crucial differences.. Discover stylish low seating solutions for every room in your home..